North Korea fires another missile over Japan and the Japanese and South Korean stock markets make new highs in dollar terms. The US endures two of the biggest hurricanes in recent history and US indexes are close to all-time highs. We get lots of feedback that our clients are struggling to understand how to reconcile what they see on the news with strong gains for risk assets – 2017 has been a year of solid returns from US stocks (the S&P 500 is up 13%) and even better returns from stocks outside the US (MSCI World ex US +21%). We think the answer lies in a very positive economic landscape with accelerating global growth and stable low inflation. 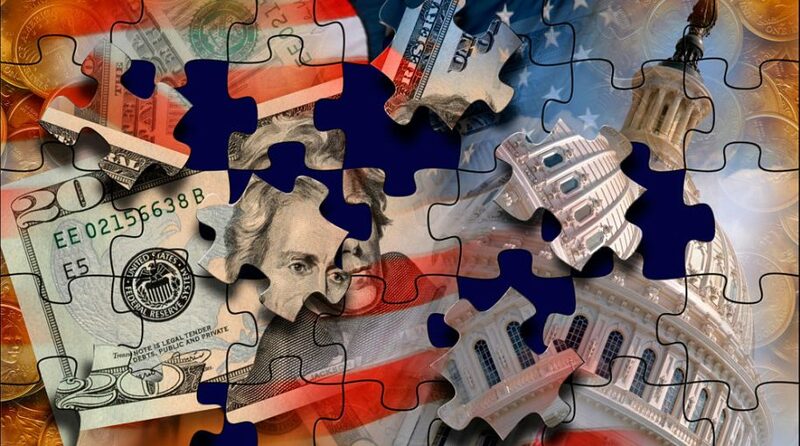 Storms, political and real: The US has a long history with major hurricanes, and so investors have been conditioned to regard the effects they have on short-term economic data and oil/commodity prices as temporary. We should ask ourselves if there is too much investor complacency regarding climate change, but so far the markets don’t seem to be asking those questions. At a future date, we will attempt to grapple with this issue, but first we seek to explain our understanding of why stocks are doing well, and why, on balance, we expect this to continue. We think the answer to what some might see as a paradox lies in the synchronized global growth that began a year ago (see vertical red line on chart of Euro zone industrial production below) and which continues to drive both overseas and US earnings expectations higher as we wrote about in our September 5th weekly “Global Synchronicity: Positive Earnings mirroring Positive Economic Trends”. 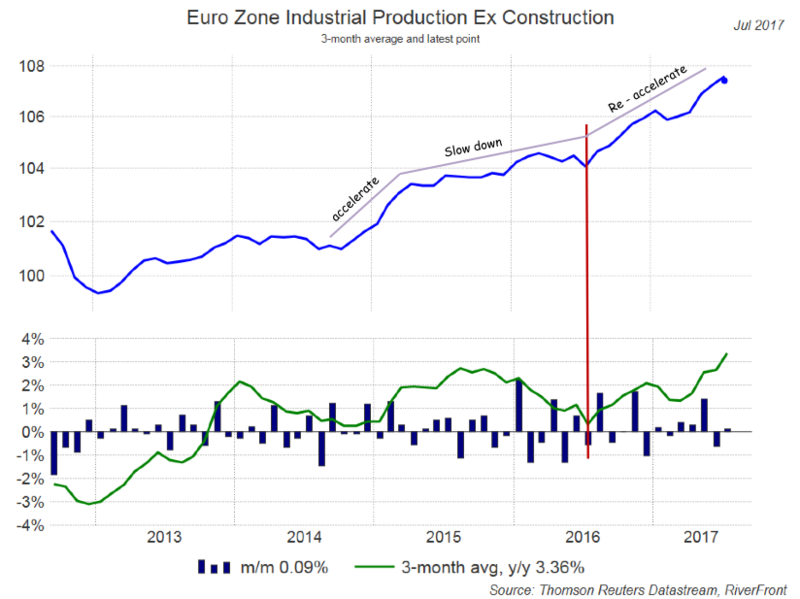 Global recovery well illustrated by re-acceleration in Eurozone manufacturing.